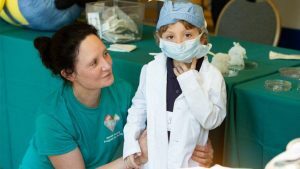 Mayo Clinic and The Children’s Hospital at OU Medicine in Oklahoma City are collaborating within a consortium to help patients with hypoplastic left heart syndrome, also known as HLHS, a rare and complex form of congenital heart disease in which the left side of the heart is severely underdeveloped. 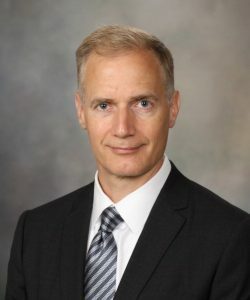 The Children’s Hospital at OU Medicine has been involved with the hypoplastic left heart syndrome program since 2015 and performed its first umbilical cord blood cell delivery in 2016, according to Timothy Nelson, M.D., Ph.D., director of Mayo Clinic’s Todd and Karen Wanek Family Program for Hypoplastic Left Heart Syndrome. “We’re thrilled that they’ve joined the consortium because it means that individuals with hypoplastic left heart syndrome will now have more access to participating in groundbreaking clinical trials,” Dr. Nelson says. This brings the total number of Hypoplastic Left Heart Syndrome Consortium members to six: Mayo Clinic, Children’s Hospital of Philadelphia, Children’s Hospital of Los Angeles, Children’s Minnesota, Children’s Hospital Colorado, and The Children’s Hospital at OU Medicine. Shrill screams caused Berneice Baumann to stop what she was doing and rush into the kitchen. She found her 1-year-old son, Duane, sitting on the floor in tears. He’d pulled an electric coffeepot on top of himself, and the boiling liquid scalded him from the neck down. “At that time, doctors had bands with lights on their heads, white jackets, and they entered the room as a group. As a young boy, I thought they were ghosts floating into the room,” Duane says. The doctors calmed Duane and immediately began working to stunt the keloids’ growth and shrink the newly developed tissue. Seconds slogged by before the staff member returned, bill in hand. Glancing down at the paper, Berneice was filled with relief. “They told her she owed $10,” Duane says. “I thought nothing of it,” she says. The Baumanns had planned to travel back to Illinois that Saturday, but when Nancy went in for her follow-up results, predetermined plans became irrelevant. The following week, surgical oncologist Barbara A. Pockaj, M.D., Michael M. Eisenberg Professor, conducted Nancy’s lumpectomy, and post-surgery tests determined Nancy was cancer-free. With a Mayo Clinic campus close to their home, they take time to stop by to hear about what is new in the world of medicine. Duane attended a Department of Development event where Wyatt W. Decker, M.D., vice president, Mayo Clinic, and CEO of Mayo Clinic in Arizona at that time, was speaking about regenerative medicine. Having recently experienced heart valve problems that required surgery — the same surgery Duane’s mother had undergone years earlier — the presentation on heart valve regeneration piqued Duane’s interest. Mayo Clinic’s investment in its research and patients inspired the Baumanns to give to the Center for Regenerative Medicine. In honor of their generosity, Mayo Clinic recognizes the Baumann family as Major Benefactors. “Mayo Clinic’s research in regenerative medicine is going to change the face of medicine,” says Duane, who credits Bruce K. Kimbel Jr., M.D., Patrick A. DeValeria, M.D., and Aleksandar Sekulic, M.D., Ph.D., for providing excellent care for his family. Having grown up going to Mayo Clinic, the Baumanns’ daughters view the clinic as more than a place of health care. Thank you for your interest. 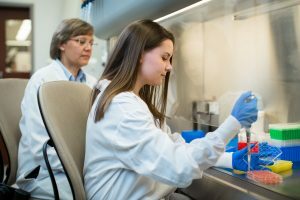 We would be happy to connect with you regarding regenerative medicine research, stem cell treatments and/or research at Mayo Clinic. Please call our Regenerative Medicine Consult Service at 844-276-2003 to schedule an appointment to speak with us. There is no charge for the appointment. We look forward to hearing from you. 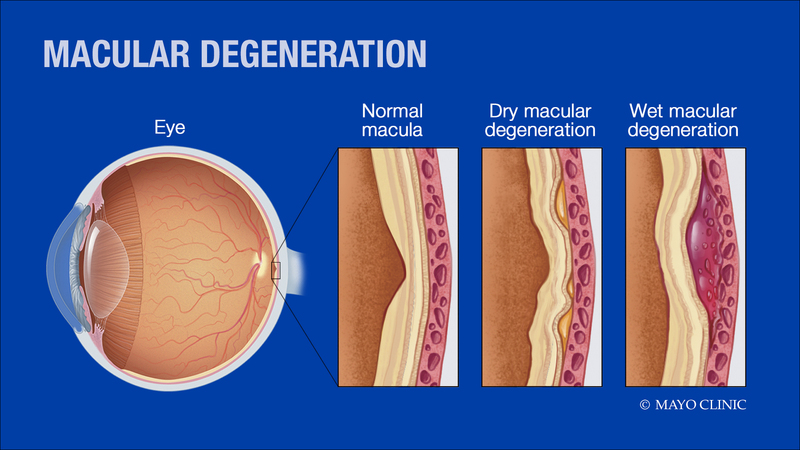 This article originally appeared in Mayo Clinic’s research magazine, Discovery’s Edge. This article was first published on Mayo Clinic’s News Network. Regenerative medicine therapies aim to rebuild and restore health to patients challenged by chronic conditions and degenerative diseases. Despite advances in the field, much of the science is still in early research phases, meaning that many treatments haven’t been proven safe and effective for humans as standard-of-care therapies yet. Because the scientific process is long, and there is great hope for regenerative therapies as treatments for a wide variety of diseases, the FDA has created streamlined pathways to help get regenerative options to patients more quickly. In fact, the FDA recently announced that it will greatly expand its regenerative therapies review process. 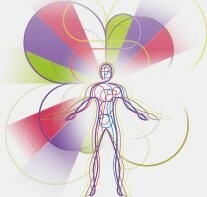 The hope in regenerative therapies has also led to “hype” surrounding this field of medicine. This is especially true for the case of stem cell therapies, which are often marketed to the public as cure-alls for a variety of medical conditions. Unfortunately, many of these for-profit clinics do not have scientific evidence to back up their claims, and many patients pay out-of-pocket for treatments that may not have any benefit (and, more concerning, may produce serious harms). In the Mayo Clinic Center for Regenerative Medicine, several steps have been taken to ensure that regenerative therapies are translated to the public responsibly. In a recently published paper, researchers outline three major ways in which they are innovating in order to best serve the needs of patients. The goals are to positively impact patient education and navigation, provide an example of an interdisciplinary clinical space that can be used for regenerative medicine research and treatment, and lastly, track the outcomes of patients. The first area of innovation is the Regenerative Medicine Consult Service, a free service offered to patients who would like to know more about regenerative options for a particular medical condition. Patients can call in to speak with a consultant who can give information on the state of stem cell research, share potential research opportunities, and potentially recommend clinical services. 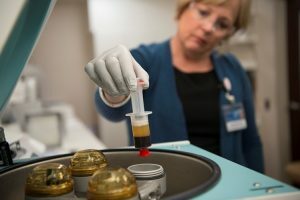 The Regenerative Medicine Therapeutic Suites at Mayo Clinic’s Jacksonville campus is another advancement at Mayo Clinic. This clinical space is regulatory-compliant and integrated patient care with laboratory functions. The unique space serves both patients and clinicians, providing a place for multidisciplinary teams to expand current projects in order to deliver individualized regenerative therapies and procedures to patients. Lastly, the Regenerative Evidence-Based Outcomes Registry was launched in November 2018 and has already logged nearly 200 surveys with information about patient treatments and outcomes. This “real world evidence” will be used in conjunction with other mechanisms, such as clinical trials, to validate therapies for patient use. The platform collects a variety of data, including information about ethical concerns related to patient understanding of stem cell therapies and the difference between research and therapy. 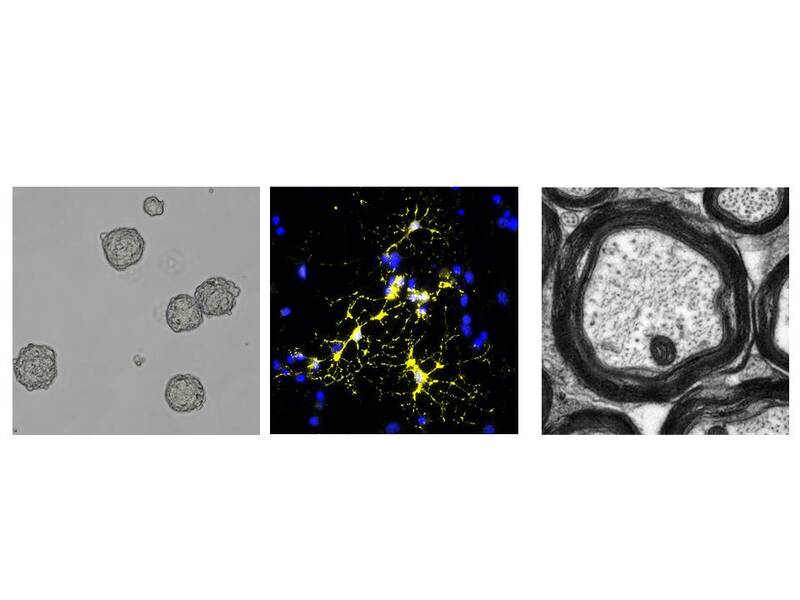 This knowledge will provide a more robust source of information in order to advance regenerative therapies and education for patients around stem cells and regenerative medicine. Mayo investigators should work with the Office of Sponsored Projects Administrationto develop a detailed budget prior to submitting a proposal. Contact your sponsored project specialist. The Office of Sponsored Projects Administration internal deadline for submitting budget requests is Feb. 15, 2019. Applications are due to Regenerative Medicine Minnesota by Feb. 25, 2019. 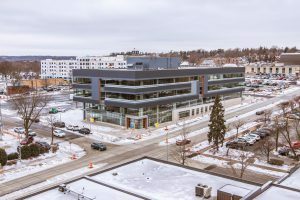 Since the Minnesota Legislature allocated resources to fund the program, Regenerative Medicine Minnesota has been working to improve the health of Minnesotans by advancing regenerative medicine therapies. Grants have been awarded to accelerate medical research; to develop biotechnology and biobusiness; and to recruit, train and retain the next generation of health care workers and researchers in the field of regenerative medicine. 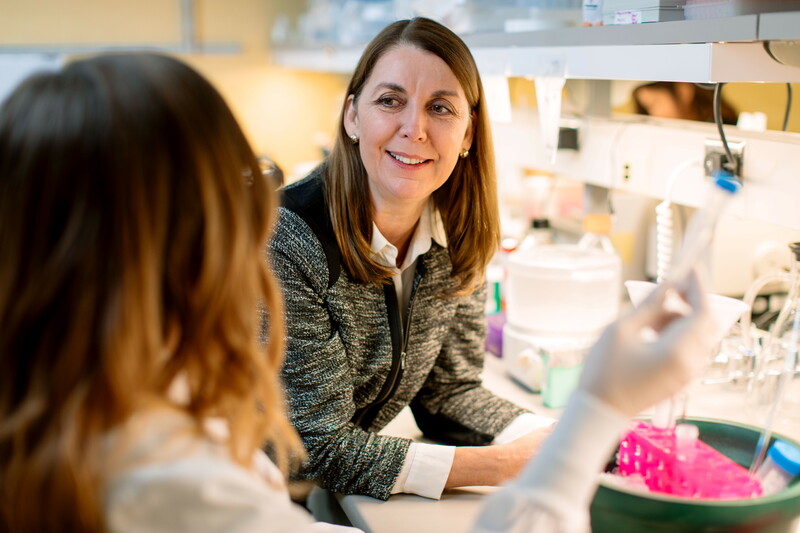 Visit the Regenerative Medicine Minnesota website or contact Beth Borg, operations administrator, Center for Regenerative Medicine Administration, at (77) 4-1075.